We know, with some degree of certainty, when an officer may search a trunk, but only the vaguest of rules govern an officer’s decision to shoot a man dead. The exclusionary rule has generated a very large number of search and seizure decisions, each of which define the limits on an officer’s authority. No similar mechanism has required courts to regularly pass on the use of force by officers, leaving the most serious acts by police comparatively unregulated. The decision of the Supreme Court in Mapp v. Ohio in 1961 – a time when force and even harassment were greater concerns than searches – explains this dichotomy. By borrowing a remedy that gained acceptance during Prohibition, the Court in Mapp created a mechanism to guard against the fears of the 1920s, not the concerns of the 1960s or the present day. Mapp’s critics have claimed that the exclusionary rule was never appropriate as it required courts to ignore relevant, reliable evidence of guilt. This article offers a more scathing indictment of Mapp. Mapp addressed a concern of earlier generations and ignored the pressing need for oversight of police force. The Watts Riots reveals that the Court had missed an important issue. Decades later, fires and looting in Ferguson reminded us of this fact. In 1955, a conference was held in Bandung, Indonesia that was attended by representatives from twenty-nine nations. Against the backdrop of crumbling European empires, Asian and African leaders forged new alliances and established anti-imperial principles for a new world order. 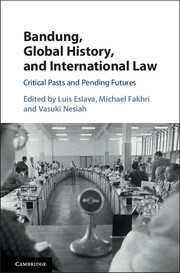 The conference came to capture popular imaginations across the Global South and, as counterpoint to the dominant world order, it became both an act of collective imagination and a practical political project for decolonization that inspired a range of social movements, diplomatic efforts, institutional experiments and heterodox visions of the history and future of the world. In this book, leading international scholars explore what the spirit of Bandung has meant to people across the world over the past decades and what it means today. It analyzes Bandung's complicated and pivotal impact on global history, international law and, most of all, justice struggles after the end of formal colonialism. Everyone understands that the invention of the automobile has had a profound effect on daily life in America. It has transformed our workplaces, altered our neighborhoods, and radically changed our environment. But cars have never been perfectly safe, and, as the years have passed, injuries and fatalities have mounted. This Article contends that, just as motor vehicles have remade our culture, these injuries and deaths — some 3.5 million fatalities and counting — have catalyzed fundamental changes in the contours, purposes, and limits of our law. 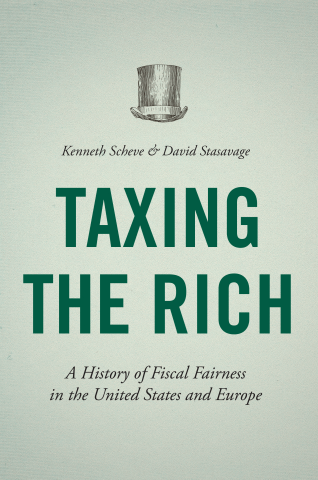 Mehrotra on Scheve and Stasavage's "Taxing the Rich"
Scholars, policy analysts, and lawmakers have long debated the relationship between steeply progressive taxes and economic prosperity. In their recent book, “Taxing the Rich: A History of Fiscal Fairness in the United States and Europe” Kenneth Scheve and David Stasavage take a step back to ask the broader, and perhaps more compelling, historical question: “When and why do countries tax the rich?” This essay reviews “Taxing the Rich.” It explores how the authors’ impressive comparative and historical analysis addresses why modern democracies have been able to tax the rich without negative consequences. Using a data set of tax laws and policies from twenty industrialized democracies across nearly two centuries, the authors persuasively document how “compensatory arguments” made during wartime have led to robust taxation of the wealthy. In addition to identifying the book’s important contributions to the existing literature, this review essay contends that Scheve and Stasavage have at times overlooked how historically-specific factors have also shaped steeply graduated taxes on the rich. They pay little attention, for example, to pre-war patterns of tax law and policy making that laid the groundwork for subsequent changes. Similarly, they discount the intensity of opposition to heavy taxes on the rich, even during wartime. And their story unabashedly embraces a strong form of technological determinism: it unfailingly accepts the conventional notion that wars are discrete events that can be easily disentangled from peacetime. In short, the authors have written an analytically rigorous account identifying the key variables behind the rise and fall of “soak-the-rich” taxation. Yet, the book’s analytical rigor in supporting its central claims comes with a price: the apparent trade off of simplifying the complexity of the past. Application Process. (1) Submit the following materials in a single pdf file starting with your last name to ils@law.wisc.edu. Multiple attachments will not be accepted. We believe we mentioned that Felice Batlan, Chicago-Kent Law, posted on The Docket an article, with links to primary and secondary sources, she wrote after spending day’s protesting the President’s “Muslim ban” at O’Hare Airport, but we now have an abstract for it. The article is Deja Vu and the Gendered Origins of the Practice of Immigration Law: The Immigrants’ Protective League, 1907-1940. Donald Trump’s administration has provoked crisis after crisis regarding the United States’ immigration policy, laws, and their enforcement. This has drastically affected millions of immigrants in the U.S. and those hoping to immigrate. Stemming from this, immigration lawyers and immigrant advocacy organizations are challenging such policies and providing an extraordinary amount of direct pro bono legal services to immigrants in need. Yet the history of the practice of immigration law has been largely understudied. This article addresses this history by closely examining Chicago’s Immigrants’ Protective League between 1910 and 1940. The League provided free counsel to tens of thousands of poor immigrants facing a multitude of immigration-related legal issues during a time when Congress passed increasingly strict immigration laws often spawned by xenophobia and racism. The League, always headed by women social workers, created a robust model of immigration advocacy at a time when only a handful of women were professionally trained lawyers. A close and thick reading of the League’s archival documents, manifests how the events of Trump’s immigration policies have a long and painful history. U.S. immigration law and its enforcement have consistently been cruel, inhumane, arbitrary, and capricious. Told from the ground up and focusing upon the day-to-day problems that immigrants brought to the League, one dramatically sees how immigration laws and practices were like quicksand, thwarting the legitimate expectations of migrants, and, at times, leaving people in an endless legal limbo. The League, in response, participated in creating what would become the practice of immigration law, engaging, and quickly responding to changing laws, rules, policies, and the needs of migrants. The American Philosophical Society invites scholars holding the Ph.D. to apply to its program of small grants that support the cost of research leading to publication in all areas of knowledge. The Franklin program is particularly designed to help meet the costs of travel to libraries and archives for research purposes; the purchase of microfilm, photocopies, or equivalent research materials; the costs associated with fieldwork; or laboratory research expenses. Awards range from $1,000 to $6,000. Again there are two deadlines. The first is October 1, for work between February 2019 and January 2020 (including the opportunity to apply for the joint APS/British Academy Fellowship). The second is December 3, for work between April 2019 and January 2020. For further details and application instructions, please visit [here] or contact Linda Musumeci, Director of Grants and Fellowships, at LMusumeci@amphilsoc.org or 215-440-3429. This article explores the ways in which Pachaiyappa Mudaliar (1754?–1794) has been panegyrized as the quintessential benefactor of our times in Tamil prose, poetry, and pictures over the course of the past century and a half. In the bureaucratic and legal documents of the colonial state, he appears as a rapacious moneylender and behind-the-scenes wheeler-dealer, a member of that hated class of ‘Madras dubashes’, a ‘most diabolical race of men’. In contrast, Tamil memory work since at least the 1840s has differently recalled this shadowy eighteenth-century man as a selfless philanthropist whose vast wealth financed some of the earliest educational institutions in the Madras Presidency. I track the posthumous fate of Pachaiyappa's bequest to argue that even as the founding of the public trust and its educational philanthropy departed radically from his willed intentions, a new complex of living, dying, and giving for the sake of native education was put in place in the Tamil country in the age of colonial capital and pedagogic modernity. The 1805 New York foxhunting case Pierson v. Post has long been used in American property law classrooms to introduce law students to the concept of first possession by asking how one establishes possession of a wild animal. 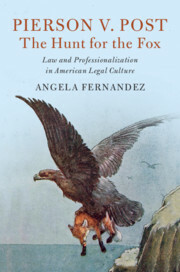 In this book, Professor Angela Fernandez retells the history of the famous fox case, from its origins as a squabble between two wealthy young men on the South Fork of Long Island through its appeal to the New York Supreme Court and entry into legal treatises, law school casebooks, and law journal articles, where it still occupies a central place. Professor Fernandez argues that the dissent is best understood as an example of legal solemn foolery. Yet it has been treated by legal professionals, the lawyers of its day, and subsequent legal academics in such a serious way, demonstrating how the solemn and the silly can occupy two sides of the same coin in American legal history. "A new generation of legal historians now has its leading essayist. Fernandez explodes the 'cases in context' genre with essays ranging across literary, social and intellectual history. 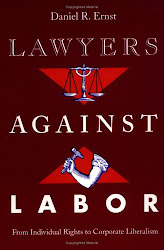 Sprightly, but with painstaking research and impressive learning, she discovers in a judge's witticisms fresh insights into how lawyers and law professors distance themselves from the strife from which they profit." "Fernandez' masterful book comprehensively reinterprets one of the great old chestnuts of American legal history. 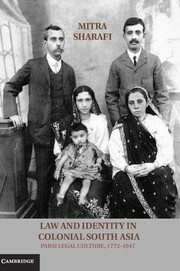 Her glittering prose and impressive research make this a must read for historians, lawyers and anyone seeking to understand how the law worked and what it has come to mean." "In this splendid work of legal archaeology, Fernandez painstakingly reconstructs the strange career of Pierson v. Post, shining considerable light on the professional culture within which it has attained the status of a leading case. 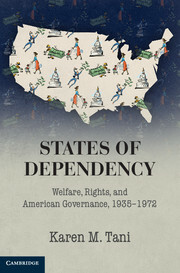 Deeply researched and beautifully crafted, this book is a major contribution to the field of legal history, prompting critical reflection on the ways and means by which conventional wisdom is constructed and reconstructed over time." We were very sorry to learn of the death of Jan Lewis, a historian of revolutionary America, dean of the Faculty of Arts and Sciences at Rutgers-Newark, and chair of chair of the American Historical Association's Committee on Women Historians. In the fall of 2018, the Boston College Law School Legal History Roundtable started its 17th successful year. The Roundtable draws on Boston College Law School’s and Boston College’s strength and interest in legal history. It offers an opportunity for Boston College faculty and faculty from other area institutions, students, and members of the Boston College community to meet and discuss a pre-circulated paper in legal history. Meeting several times each semester, the Roundtable seeks to promote an informal, collegial atmosphere of informed discussion. For the 2018-2019 academic year, Professor Mary Sarah Bilder, Professor Daniel R. Coquillette, Professor Frank Herrmann and Professor Daniel Farbman are conveners. In 2018-2019, our first Roundtable will be jointly sponsored with the BC Law School Tax Policy Workshop and therefore meet at noon. Papers will be available when appropriate before each presentation. For assistance with parking passes for non-BC faculty, please also contact Joan. THIS YEAR'S SCHEDULE after the jump. In my most recent post, I highlighted some of my research on the American fair trade movement and antitrust reform, and showed how it relied on the Hagley Museum and Library's vast archival holdings. I spent a lot of time in the U.S. Chamber of Commerce records, but there are countless other resources available there. Here I’ll highlight some of the collections that may be of particular interest to readers and note a few books that used those sources. Originally endowed by the du Pont family, the archive and museum sit on 235 acres along the Brandywine River, just minutes from downtown Wilmington, DE. The grounds are spectacular. Researchers are housed in restored cottages that formerly housed foremen who managed the original gunpowder mills. The change in elevation along the Brandywine made this location perfect for a canal to be installed with a series of locks that powered mills. At the top of the steep hill sits the du Pont family home. The “soda house” has been transformed to house the archival collections. The reading rooms at the archive and the main library look out onto forests. 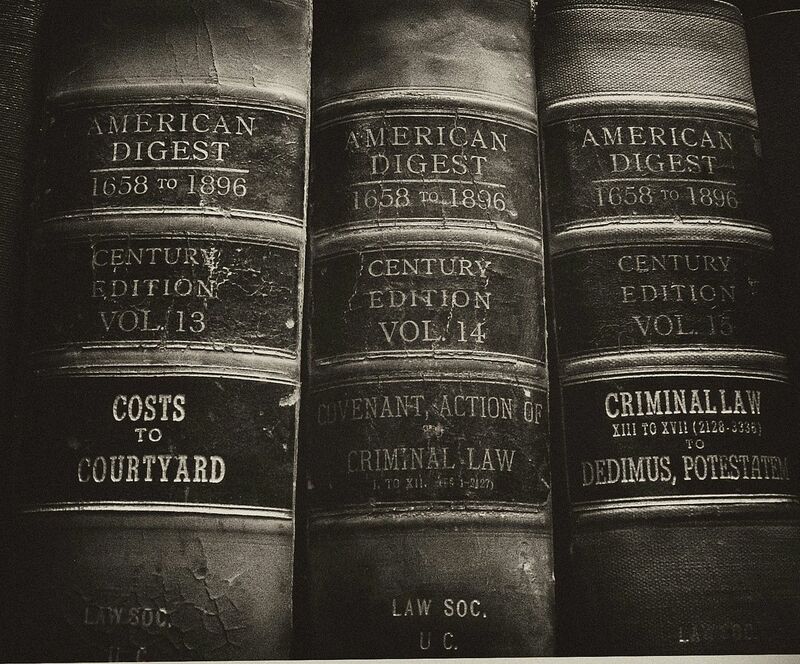 Hagley’s specialty is business and technology, but there’s a lot for legal historians to explore as well. From their website: “The collections include individuals' papers and companies' records ranging from eighteenth-century merchants to modern telecommunications and illustrate the impact of the business system on society.” Also, Hagley continues to build its digital collections, so keep an eye out for new materials on the web. For graduate students and researchers at any stage, check out the Hagley grants and fellowships page. Of course there's the DuPont Legal Dept. Records (Acc. 1729). Professor Catherine Fisk used these records along with the archival records from Rand McNally and Eastman Kodak in her award-winning book, Working Knowledge: Employee Innovation and the Rise of Corporate Intellectual Property, 1800-1930. National Association of Manufacturers (Acc. 1411), which Professor Jennifer Delton mined for her book, Racial Integration in Corporate America, 1940-1990. Seagram Company Ltd., the Canadian distiller, (Acc. 2126 and 2173) holds internal documents on brand development and marketing campaigns. I used these materials for my research on manufacturer price protection plans. Letters between company executives, detectives, and "cut-rate" retailers detailed the exchanges leading to Old Dearborn Distributors v. Seagrams (US, 1936). In that case the Court upheld state fair trade laws, enforcing resale price maintenance contracts. Enron Board Minutes (Acc. 2487) . . . the only full set in existence, according the Hagley archivist Lucas Clawson. Raymond Loewy collection (Acc. 2251), includes information on trademarks and trademarking. Interested in telecomm? Check out the holdings from MCI Telecommunications, which includes their Legal Department records and various law suit records (Acc. 2275). There are two different collections concerning the 1969 IBM antitrust suit: Richard Thomas de Lamarter collection of IBM antitrust suit records (Acc. 1980) and the Computer& Communications Industry Association IBM antitrust trial records (Acc. 1912). There are two collections of Singer Manufacturing Co. records that contain info on patents and trademarks: Acc. 2207 and Acc.2641. And, then there's the online catalog for researchers to find material specific to their on-going projects. Special thanks to Lucas Clawson, Archivist & Hagley Historian, and Dr. Roger Horowitz, Director of Hagley's Center for the History of Business, Technology, and Society.